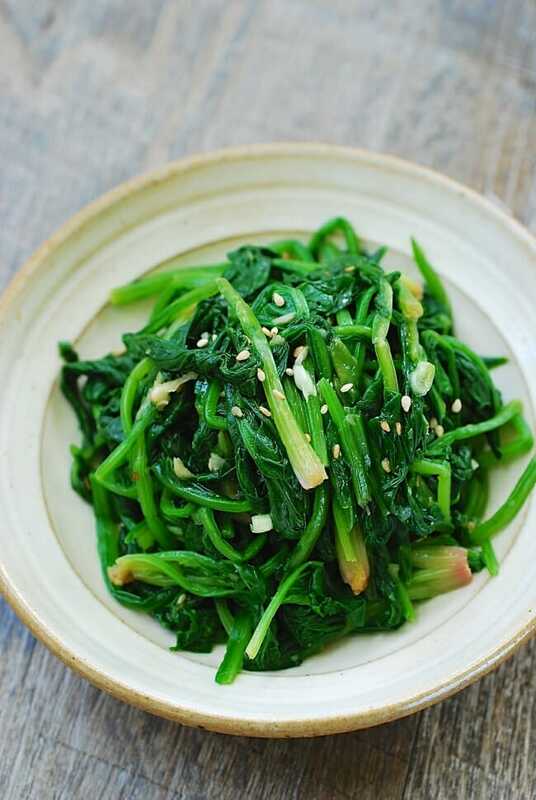 Sigeumchi namul is a simple Korean side dish (banchan) made with spinach. 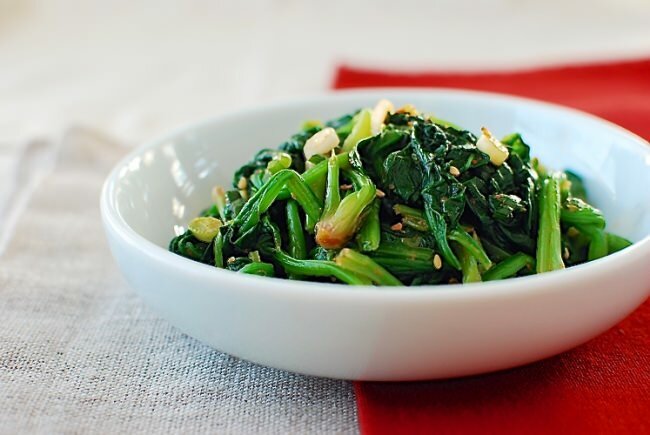 Namul is the general term that refers to a seasoned vegetable dish, and sigeumchi is spinach. Although the cooking method and seasonings vary, the vegetables are typically blanched first and then dressed with seasonings. 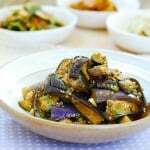 There are an infinite number of vegetables that are used to make nauml dishes in Korea. Spinach is one of the most common ones. 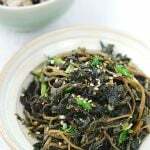 It typically is one of the three color vegetable dishes (samsaek namul) traditionally served as part of a holiday feast and almost always used in bibimbap. For my bibimbap recipe, the spinach was lightly seasoned with salt. Here, I have another variation seasoned with red chili pepper paste (gochujang) and soy sauce. 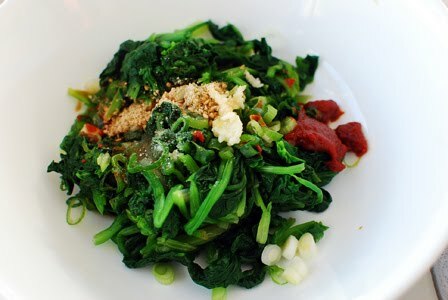 Sometimes, I use Korean soup soy sauce (guk ganjang, 국간장) to season the spinach for a little umami boost. I’ve updated this post to show you the soup soy sauce version as well. Trim off the roots from the spinach. Wash thoroughly until there is no sand in the water. 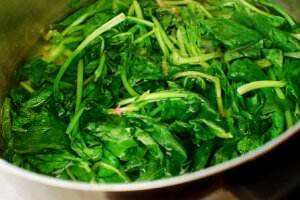 Blanch the spinach in salted boiling water until wilted, 30 – 40 seconds. Quickly remove the spinach from the pot and shock in cold water to stop the cooking. Drain and gently squeeze out excess water. Cut into 3-inch lengths. Add the remaining ingredients and mix everything well by hand. It will take about 10 minutes for the flavor of the seasonings to seep into the spinach. Hello! I found your site through Chef Dennis and absolutely love it! I think it’s sweet that you’ve created this for your children. 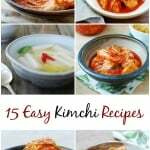 I’m also Korean and whenever I asked my mom for recipes and measurements for her dishes, she said there were none! She eyeballs everything and learned from watching. I regret not having paid better attention to her cooking while I was growing up. But I’m making up for it now. I made this last night. We enjoyed it a lot. Thanks for posting. I am popping back to say thank you for visiting my blog. I also browsed your blog. Love it. I am a super fun of Korean food. Will come back often to visit your blog. I’ve never wanted to eat spinach so much in my life. this sounds fantastic! A very flavorful preparation of spinach, this is an excellent side dish! 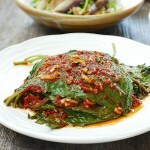 Mmm, I’ve enjoyed a similar spinach dish at a local Korean restaurant and have always wondered how to recreate it. I’m certain yours will be better. 🙂 One of my favorite vegetables is cooked spinach and I’ll look forward to giving your recipe a try. I think it will be a great side dish to the pre-marinated Korean beef (yes, b/c I’m too lazy to make my own so I buy store-bought) that my family likes. Thanks for sharing! My dear Korean husband always used to tell me that he doesn’t like spinach. I made this tonight, he tentatively tasted it and rated it 10 out of 10! This is a testament of how good your recipe is! Thank you very much for sharing! Thank you, Lilluz! Glad your husband liked it. You know spinach is good for us. Happy cooking! I am making this tonight with some kalbi. Looking forward to it! I am trying it tonight, with some kalbi bought at hmart. Sounds great! Hope you enjoyed it. Thanks, Rebecca! 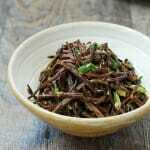 This is the only Korean side dish my husband will eat! 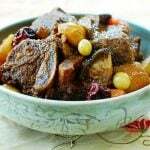 I made this along with your slow cooker kalbi chim and they were both soo good. Thank you so much for the wonderful recipes and looking forward to seeing more recipes! Hi Nicole – You’re welcome! I’m very happy to hear you and your husband enjoyed it.Thanks for letting me know! Is this dish supposed to be served hot or should it be refrigerated and served cold? Usually served at room temperature or cold. Thanks! I’d love to make this with your Dak Bulgogi recipe for dinner tonight…I only have prepackaged baby spinach though! Is that an okay substitute? Thank you! Sorry if I am too late to respond for your dinner. Hope you tried it with baby spinach. It just needs to be cooked very briefly because it’s so tender. is there a way to print this recipe? This is the first time I’ve seen it written down as a recipe. 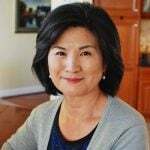 I was taught by my Korean girlfriends, and that was by how it was to taste. Now I can share it with my other friends and relatives. Thank you. Great! Thanks for spreading the word! Please advise if the ingredients is intended for two servings. 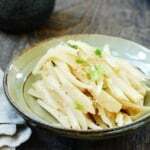 This is a side dish, so it really depends on what other side dishes you have and the size of the serving. Having said that, this should be enough for 2 to 4 people as a side dish. Hope this helps. Thank you. We will be trying this tonight. Wonderful spinach dish. If you don’t like spicy, cut down on the chili paste. 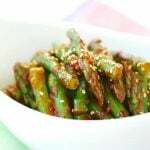 You can use any similar green leaf vegetables. Enjoy! for how long I can keep this in the refrigerator? Should be fine 3 to 4 days. Enjoy! I just made a version of this (the non-spicy one) using snow pea tips (the leaves & soft stems — so delicious) and some perilla leaves from my garden. just for fun, I used some perilla oil instead of sesame oil (to me, it tastes pretty similar). it’s so delicious! soup soy sauce REALLY makes a difference in namul. thank you!